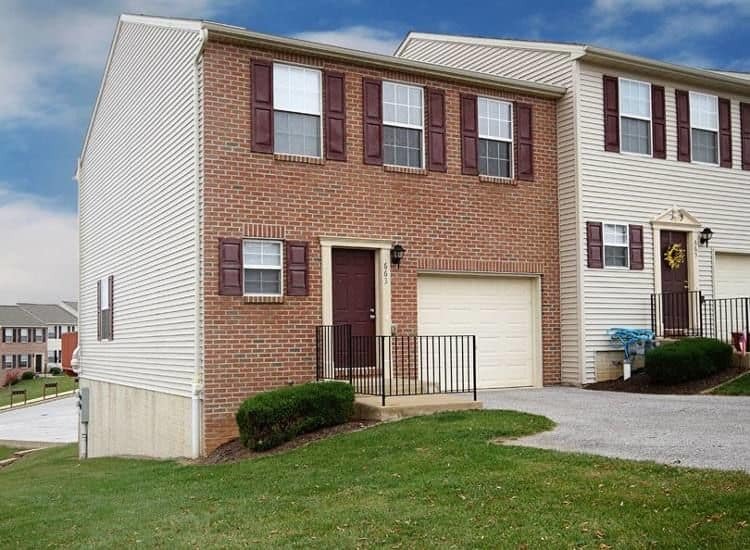 Lion's Gate is a collection of row-house-style townhomes for rent in Red Lion, PA. Our location in Windsor Township offers you the ideal setting to live a tranquil life. Our property features nature trails, tennis courts, a playground, and picnic areas. You will also enjoy great views from the privacy of your classically inspired townhome. Homes for rent at Lion's Gate are spacious and comfortable; ranging in size from 1,626 sq. ft. to 2,026 sq. ft. Each of our floor plans is equipped with a full basement for easy storage of bikes, seasonal items, or overflow from the attached garage that is available in select homes. 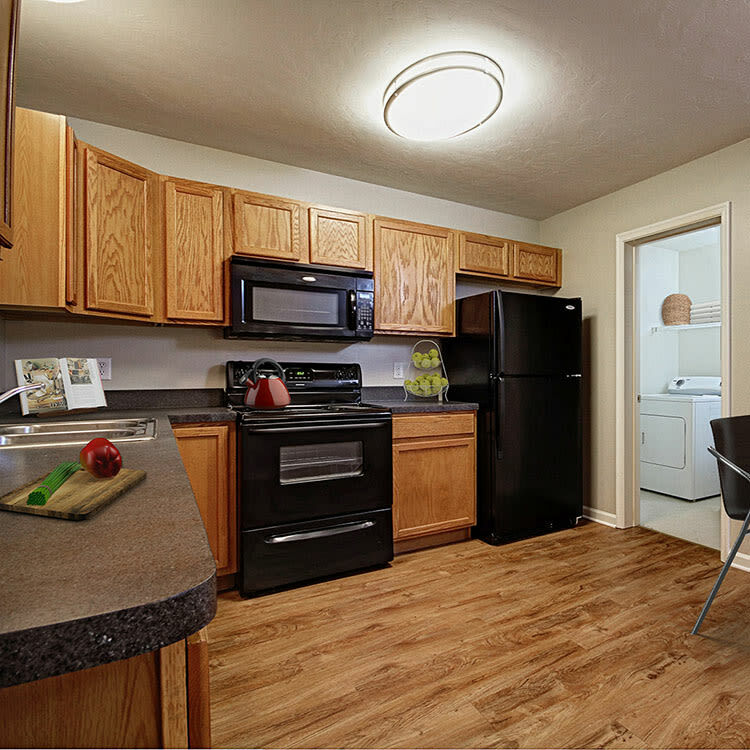 We also offer a fully equipped kitchen with dishwasher, as well a full-size washer and dryer in each home. Your rent at Lion's Gate also includes snow removal and lawn care to save you time and money on expensive outdoor maintenance. For more information on townhomes for rent in Red Lion, contact Lion's Gate today. We will be happy to schedule a tour and show you around our pet friendly townhomes.